Force & Form is a brand design studio in San Francisco, California. We specialize in the development of branding, identity systems, interactive media, packaging design & point of sale campaigns for consumer packaged goods. Building Dreams on the California Coast. 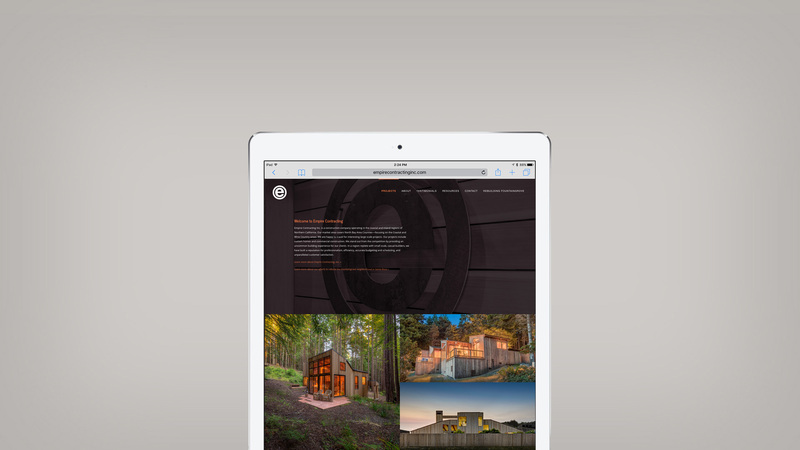 Empire Contracting is well known for their professionalism and needed a modern website to communicate this to a new generation of clients. With work that speaks for itself, we built the site to emphasize the depth and quality of their impressive portfolio. This is the team that you can trust to build your dream. ©2019 Force & Form LLC. All Rights Reserved. Unless otherwise noted, all photographs included herein are the property of Force & Form LLC. Force & Form is a registered trademark of Force & Form, LLC.